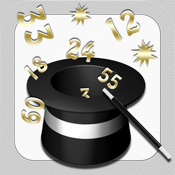 Magic Numbers - Family Fun is the perfect application to amaze and astound your Family and Friends. Ask your audience to pick a number .. then, by just asking them a few simple "Yes" or "No" questions, you will soon be able to reveal to them their chosen number. All you have to do then is watch their faces in amazement.